At the beginning of the year Abbey Road Studios launched a competition encouraging unsigned and up-and-coming composers to write an 'anthem' to celebrate the legendary recording space's 80th Anniversary. 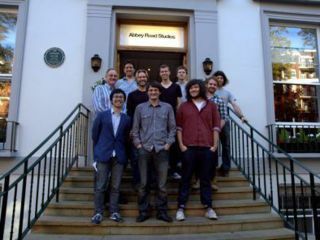 Eight winners, out of over 900 entries, had their compositions recorded in Abbey Road's Studio One with the London Symphony Orchestra. As of today, the studios are giving away the finished recordings via their website. Head over to have a listen to the winning entries, and check out the video above to see some of the recording sessions and hear from a couple of the winners. Earlier this year we headed into Abbey Road to take a look around and speak to senior engineers Peter Cobbin and Jonathan Allen. Read the interview.